Home / Blog / What Are Sundeala Boards? Sundeala have been making boards for over 110 years, so they’re pretty good at it at this point. 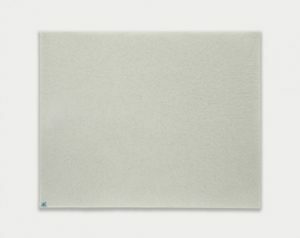 Sundeala Boards are an environmentally friendly option when choosing notice boards or whiteboards. The boards are made entirely from highly compressed recycled newsprint, which means they hold pins and staples securely in place. And that means, no more worrying about drawing pins dropping on the floor of the classroom or corridor where little hands might find them. Not only is the core board material eco friendly, but the manufacturing process is too. Sundeala use mineral based pigments to colour their boards, avoiding the dangerous and toxic chemicals that are sometimes used by other manufacturers. They also offer boards in a variety of colours, sizes and shapes, making them an excellent choice for schools and other educational environments. You want a red elephant? No problem. Or how about a purple bunny? Or a green train? Sundeala have got you covered. And because they make all their own boards, they can handle all sorts of bespoke shapes and sizes as well. Sometimes you don’t have the space for a permanent display, and Sundeala have a range of portable, and mobile, whiteboards and noticeboards for just those occasions. These come in the same wide range of options as the wall fixed boards, with the added bonus that you can use both sides of them, and wheel them away when they are no longer in use. If you’re putting your notice boards into a busy school or office, you need to make sure that they meet the required building regulations. This might mean that you need to choose fire resistant boards. All Sundeala fire resistant boards are certified Class B products. In the case of their fabric covered boards, that means both the fabric and the baseboard meet the relevant test requirements. Notice boards are hard working items, and you need to be sure that they will hold up to the challenge. With Sundeala Boards you get a 25 year guarantee, which means they may well outlast many other fixtures and fittings in the building they go into.